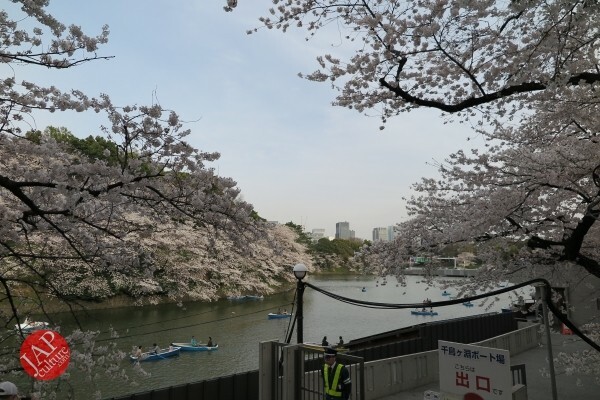 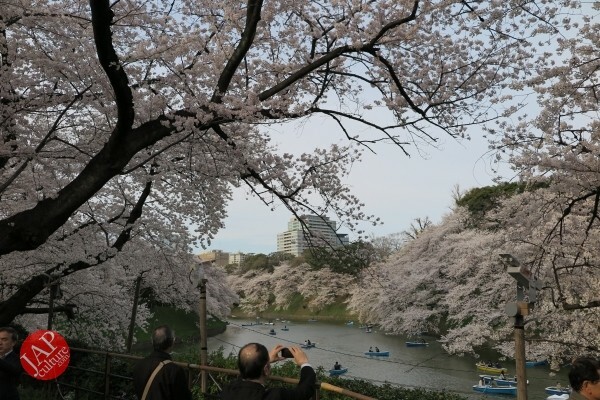 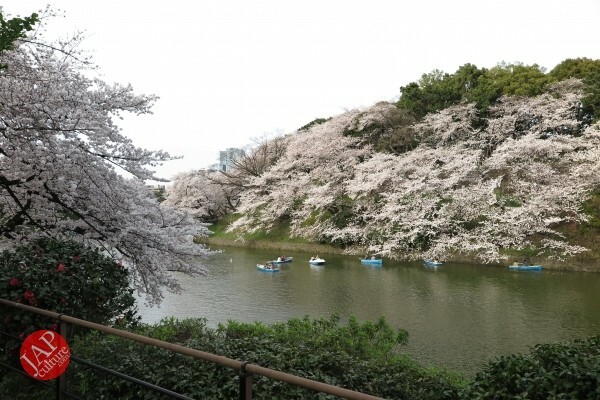 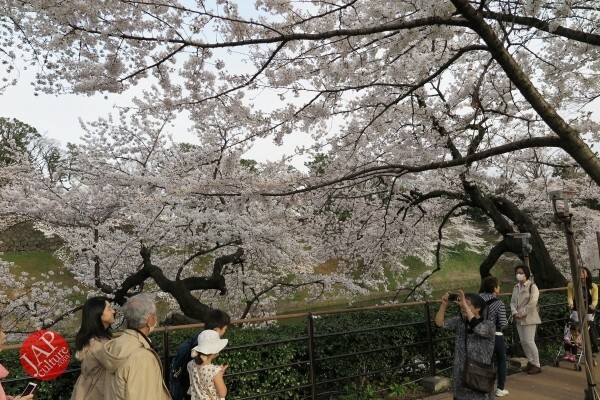 Chidorigafuchi is one the best viewing place of Sakura. 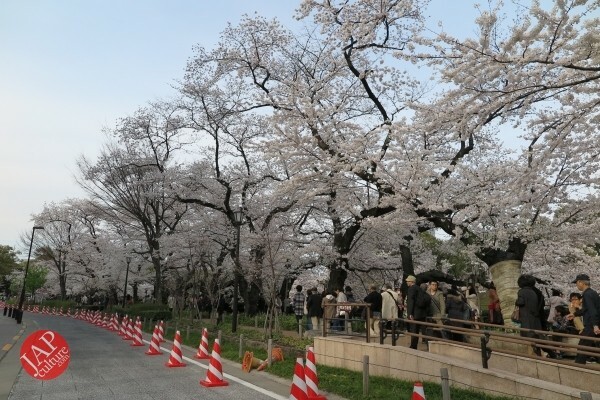 This zone has about 260 cherry trees in narrow pavement. 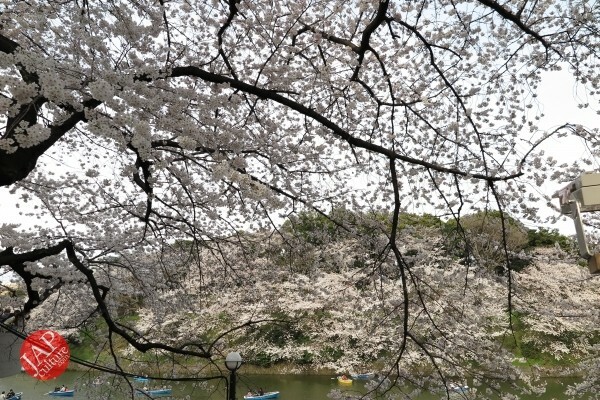 It means density of Sakura is high. 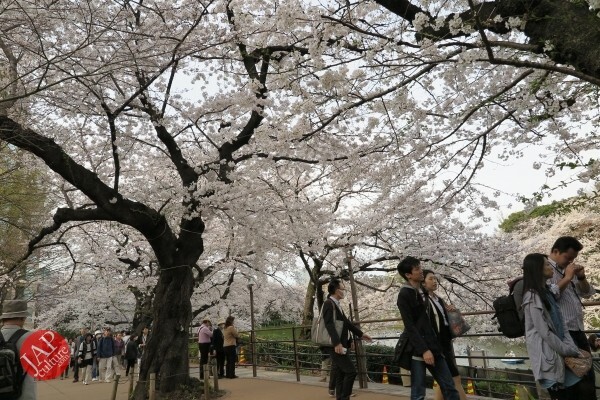 So it likes a cherry blossom tunnel. 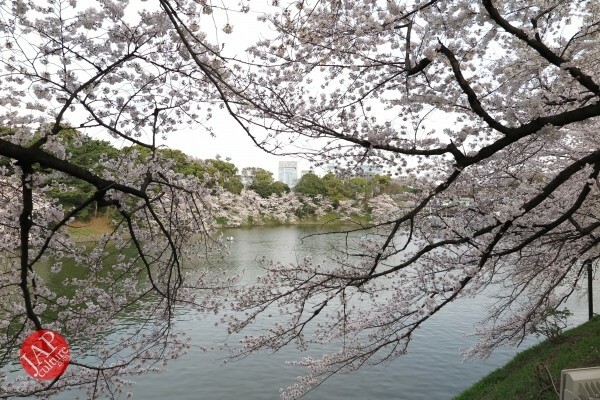 You can enjoy full of Sakura here. 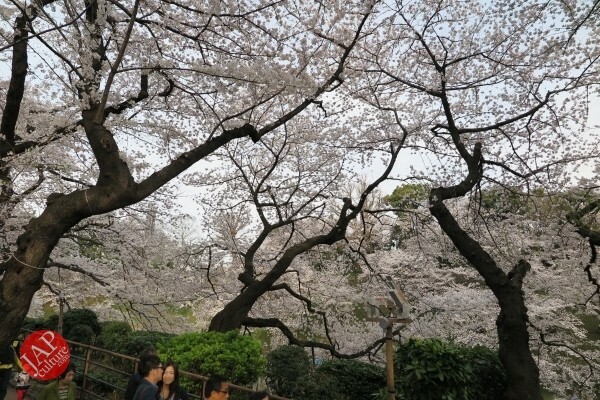 Upward is sakura, side is sakura, under is sakura. 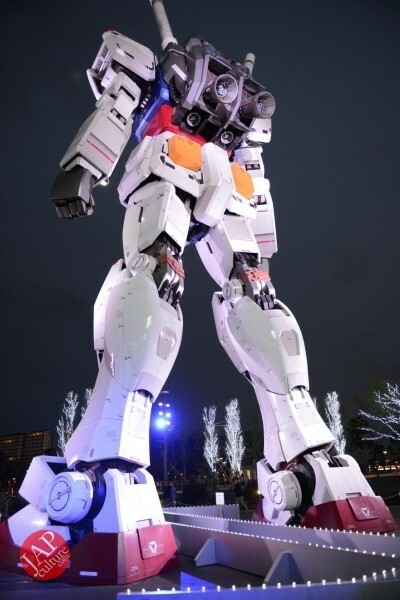 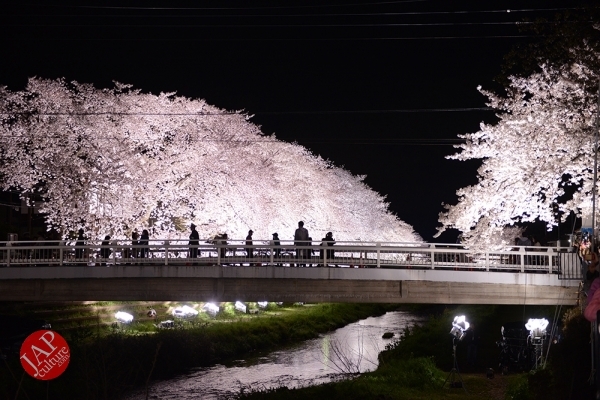 It’s like a 360 degree viewing Sakura experience. 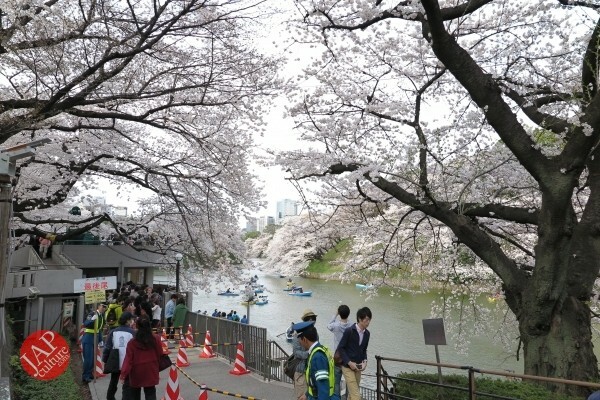 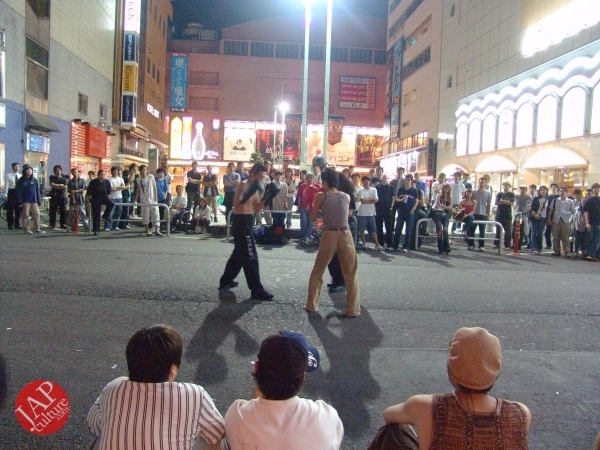 And not only Sakura, but also people are full because this is the most famous Sakura viewing place in Japan. 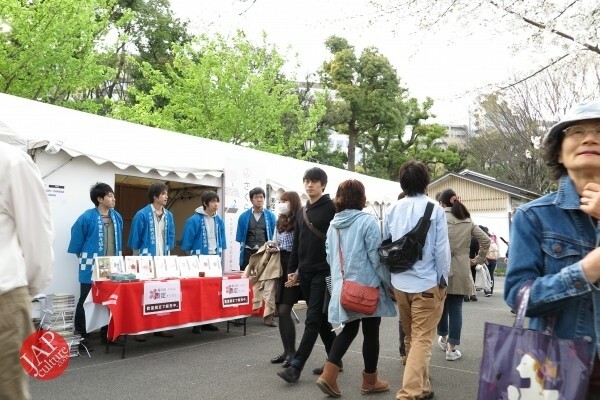 So here is always crowded. 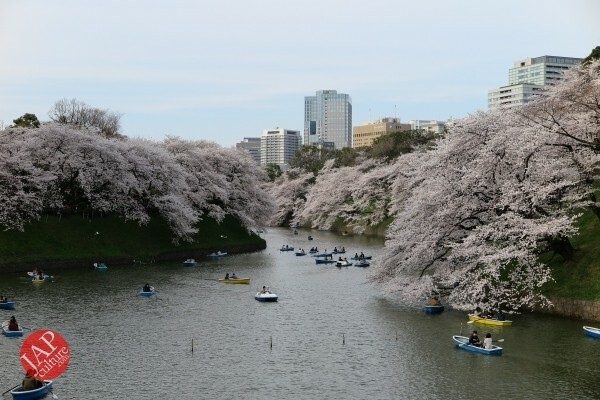 You can enjoy Sakura viewing boat at Imperial pond. 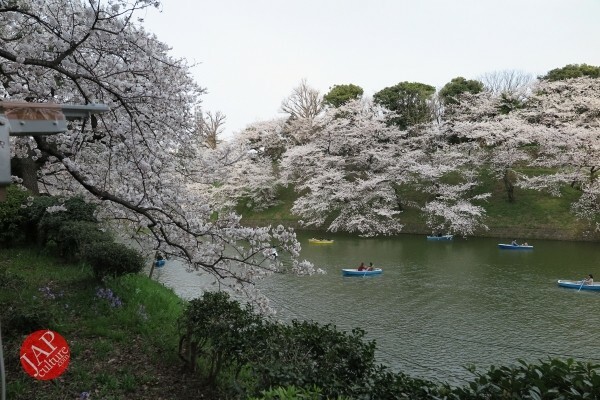 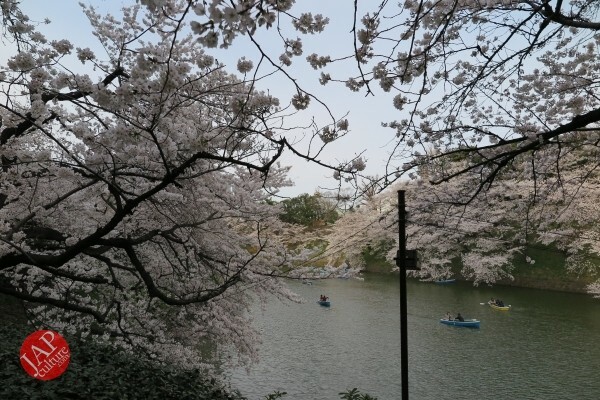 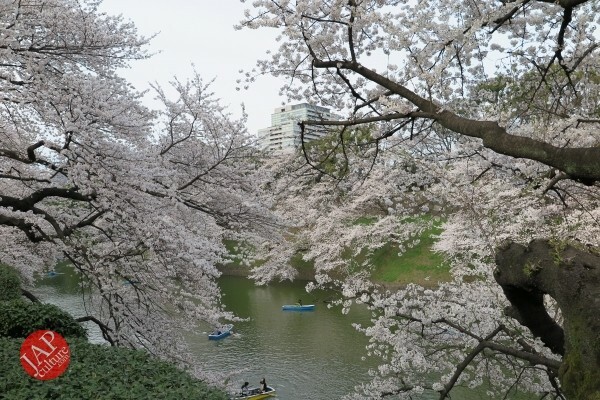 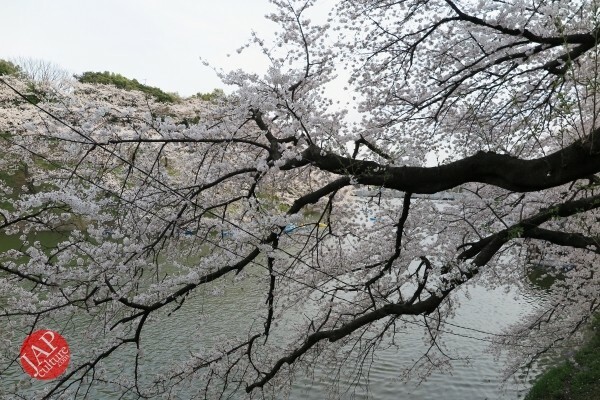 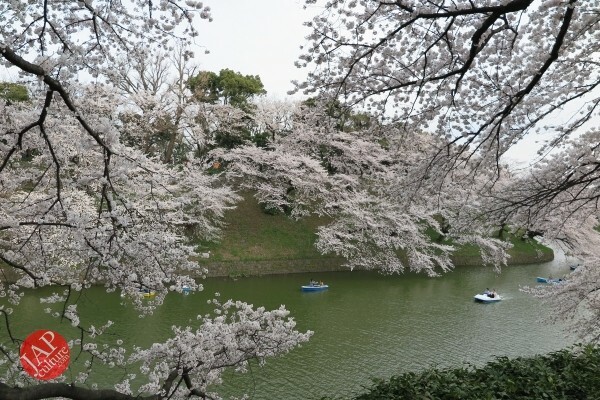 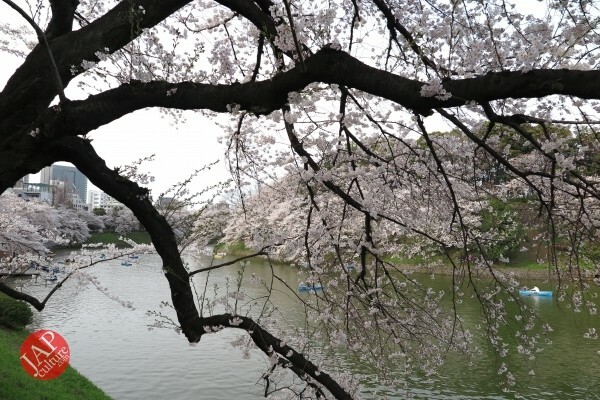 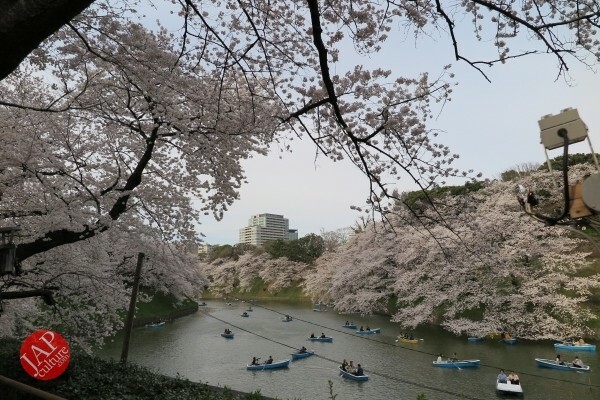 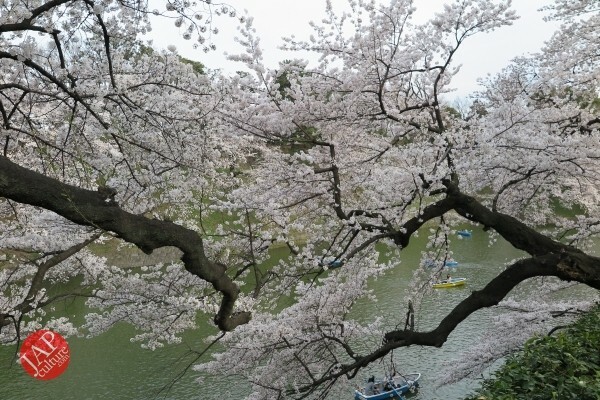 If you pay JPY1600, you can enjoy boat on the impererial pond srounded by cherry blossom. 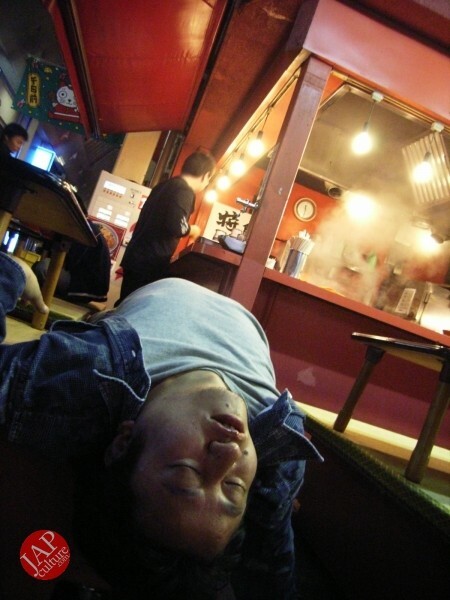 But you must be careful. 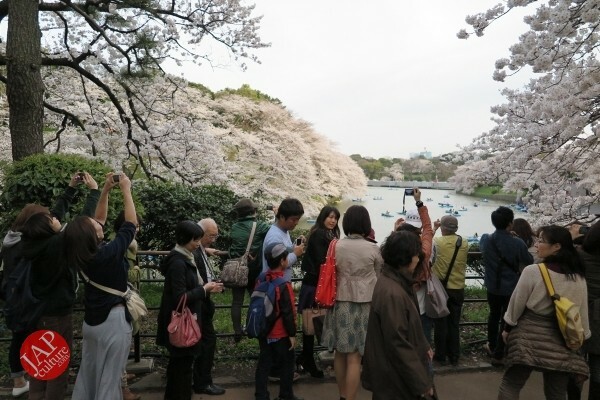 Never do private shamefull behavior on the boat because tons of tourist taking pictures from anywhere. 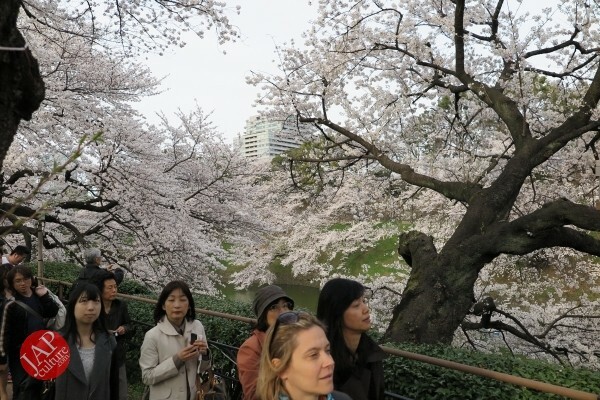 And you must understand those tourist upload those picture on the internet and share it by facebook, and some people find out your shamefull behavior on the boat. 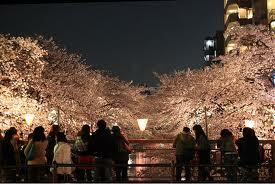 You can be famous person soon. 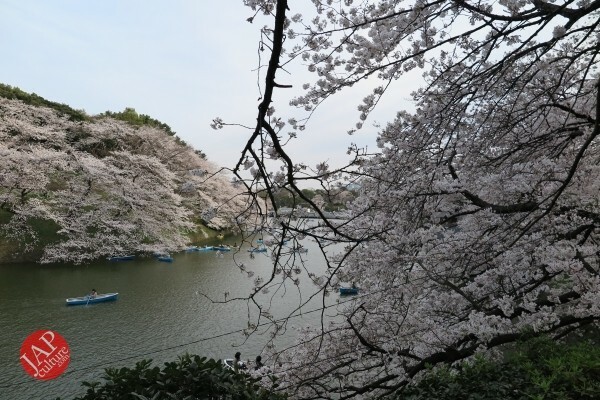 Now you can enjoy this best viewing Sakura experience in your room with Picture and walking view video. 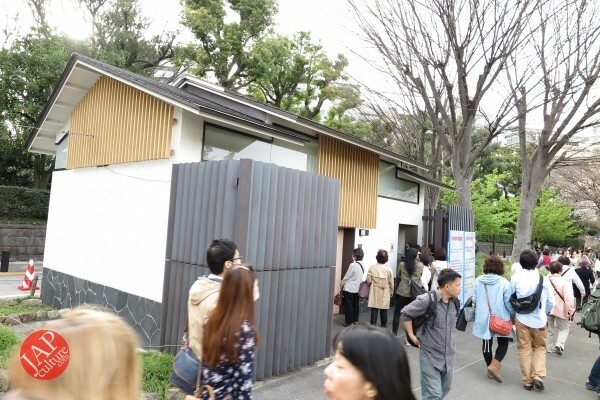 This modernistic building is toilet. 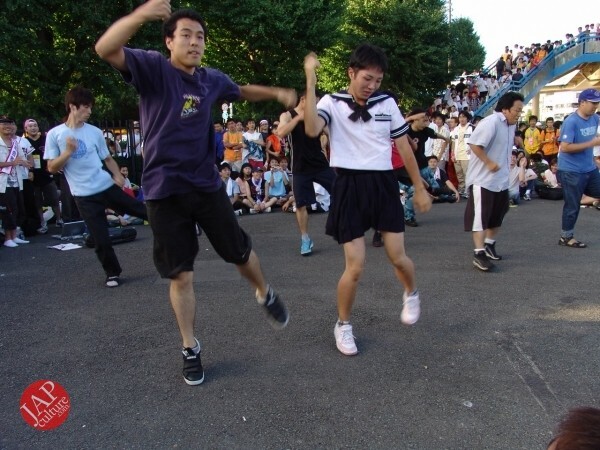 You can enjoy elimination. 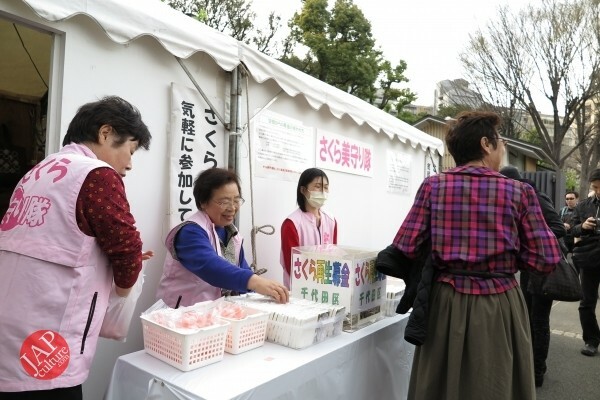 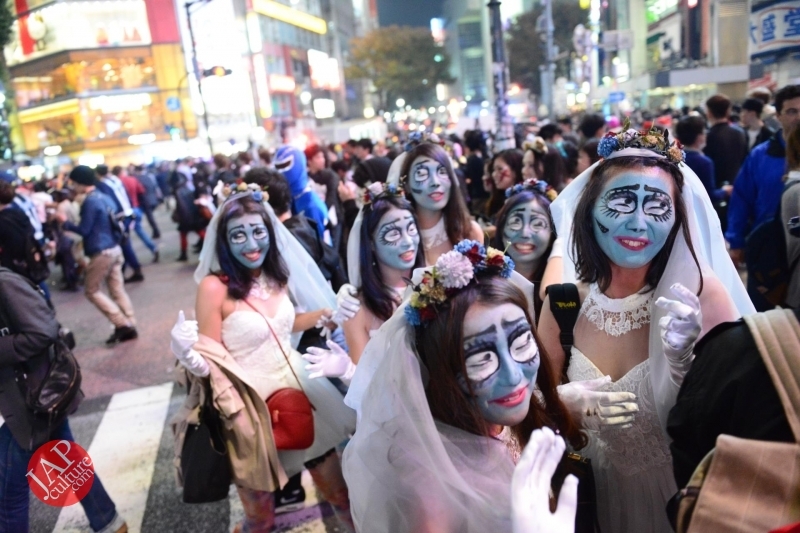 But be careful, woman must wait on the long line always. 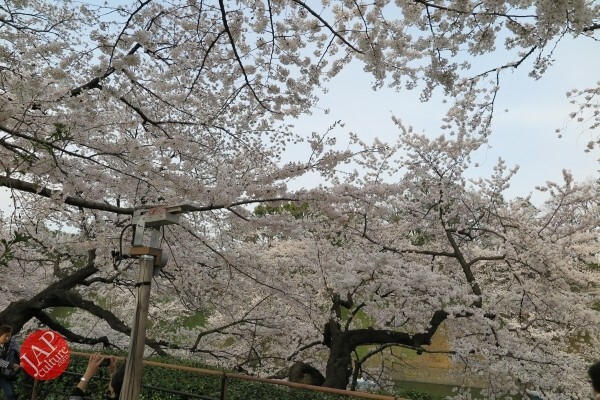 This is Sakura support team. 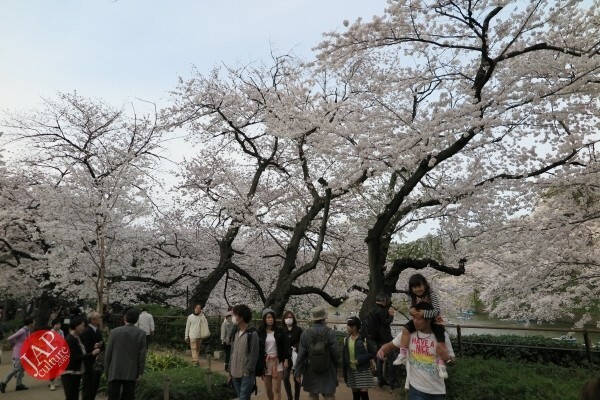 this is also sakura support team. 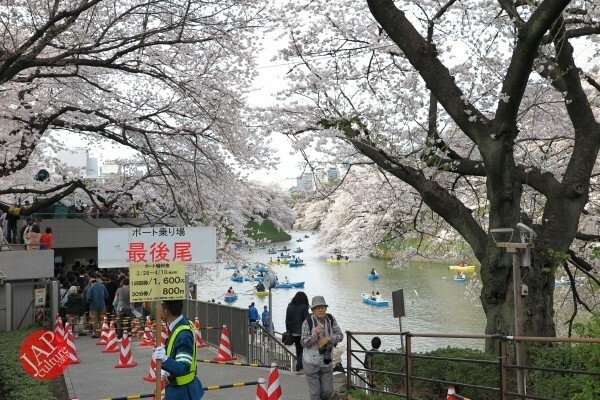 if you ride on the boat, lots of tourist see you rowing boat. 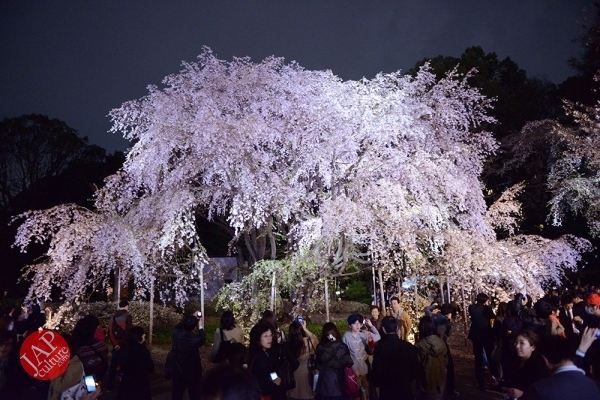 Weeping cherry tree (Shidarezakura) in Rikugien illumination attracts many people. 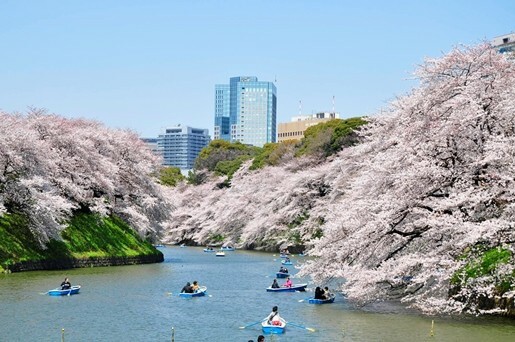 Amazing Japanese table manner! 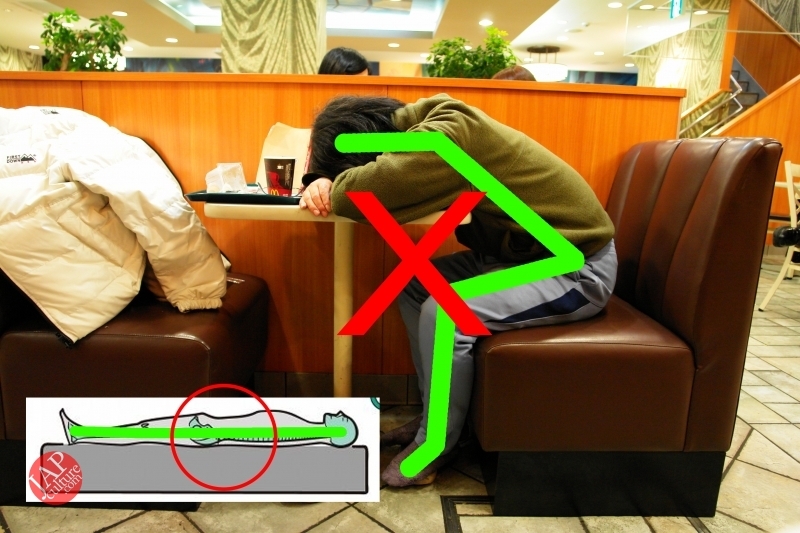 Restaurant staff take care not only food but your sleep too!